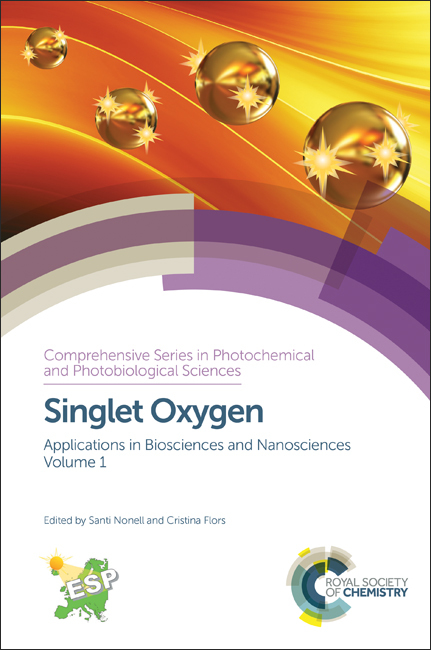 In celebration of Peer Review Week, with the theme of Recognition for Review – we would like to highlight the top 10 reviewers for Photochemical & Photobiological Sciences in 2016, as selected by the editor for their significant contribution to the journal. We would like to say a massive thank you to these reviewers as well as the Photochemical & Photobiological Sciences board and all of the research community for their continued support of the journal, as authors, reviewers and readers. The 2014 International Congress of Photobiology was held in the “Pavillion Argentina” located within the University Campus of the National University of Córdoba, Argentina. This conference was the 16th in a series sponsored by the International Union of Photobiology (IUPB, www.iuphotobiology.com). This was the first time that the IUPB Congress was held in the Southern Hemisphere and also the first time held South of the Rio Grande. The University of Córdoba is the oldest in Argentina (founded in 1613) and the City of Córdoba offered a wonderful frame (and great weather) for the Congress. All aspects of the interaction of light with the biosphere were covered, such as photosynthesis, photomorphogenesis, photomovement of plants and bacteria, the interaction of UV light with ecosystems (including bacteria, phytoplankton, zooplankton, algae, plants, mammalian cells, and humans), circadian rhythms in plants and animals, vision and light-induced damage to the retina, UV induction of skin cancer, as well as the use of light for the treatment of various illnesses and the photochemistry of xenobiotics and biological molecules. The use of light-based technologies for the study of biological processes was also the subject of various symposia. The Congress registered 507 participants from 38 Countries. 160 participants were from Argentina, 44 from Brazil, 17 from Chile, 60 from the USA, 50 from Germany, 20 from Japan, etc. 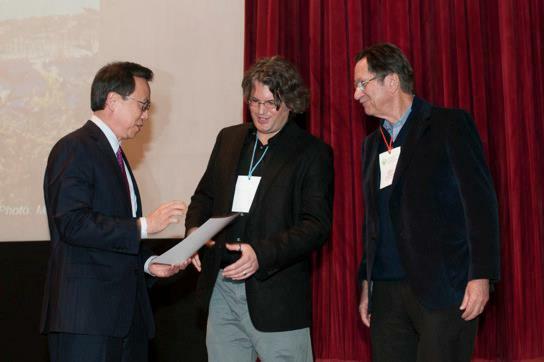 280 of the participants were young fellows (graduate students and young researchers). The Scientific Programme (see the day by day program in pdf format at www.iuphotobiology.com) consisted of 3 Plenary Lectures: Nathan Nelson (Israel) on the “Evolution of the Photosynthetic Apparatus”, Thomas Schwarz (Germany) on “Photoimmunology”, Ernst Bamberg (Germany) on “Channel Rhodopsins and Optogenetics”, 9 Keynote speakers highlighting the frontiers of research in various areas: Carlos Ballaré (Argentina), Rosalie Crouch (USA), Anderson Garbuglio (Brazil), Mario Guido (Brazil), Hideki Kandori (Japan), Alberto Kornblihtt (Argentina), Dimitra Markovitsi (France), Frank Vollmer (Germany), Horacio Zagarese (Argentina), and 51 Symposia (each 130 minutes with between 4 and 6 participants), organized each one by two (sometimes one) scientists who were (was) also contributors to the Symposium. There were also two marvelous special (Historical) Lectures: Winslow Briggs (USA) on his “Scientific and Life Experience”, Phil Hanawalt (USA) on the “History of Research on the DNA Repair Mechanism”. 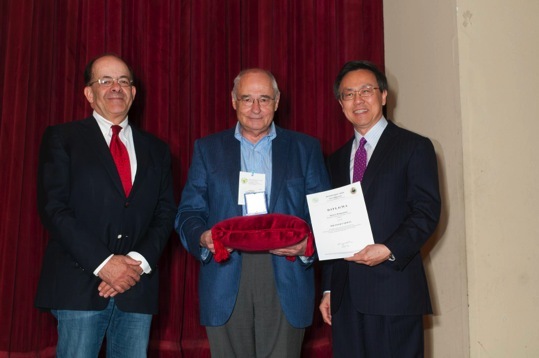 A Symposium on Photomovement was held in Memoriam of Masamitsu Watanabe (deceased in 2013), who had a major role in the discovery of photoreceptors implied in photomovement (see the paper by Peter Hegemann). 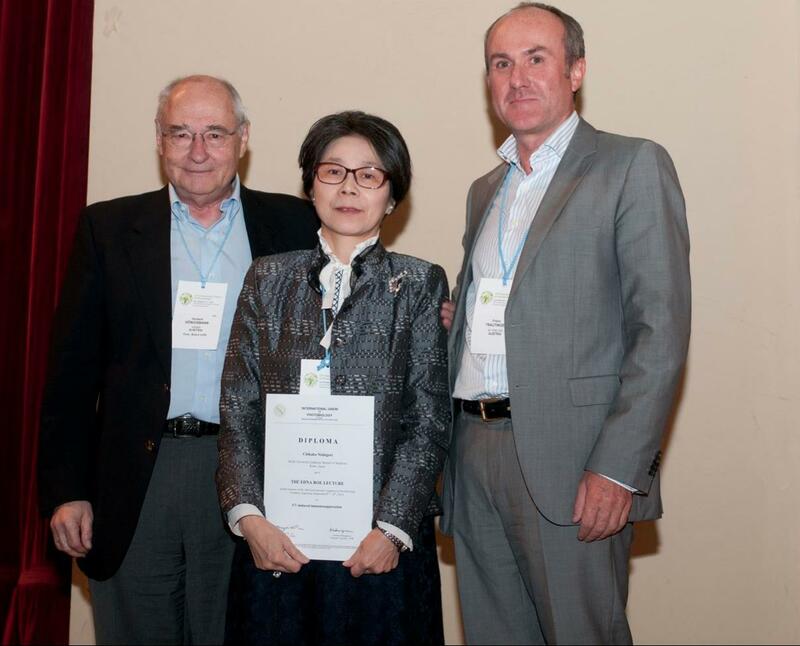 IUPB awarded three Finsen Medals with Lecture to Masamitsu Wada (Japan), Herbert Hönigsmann (Austria), and Douglas Brash (USA), one Finsen Lecture to Roman Ulm (Switzerland), as well as one Edna Roe Lecture to Chikako Nishigori (Japan). Graduate students and young researchers presented 200 posters on all areas of photobiological research. 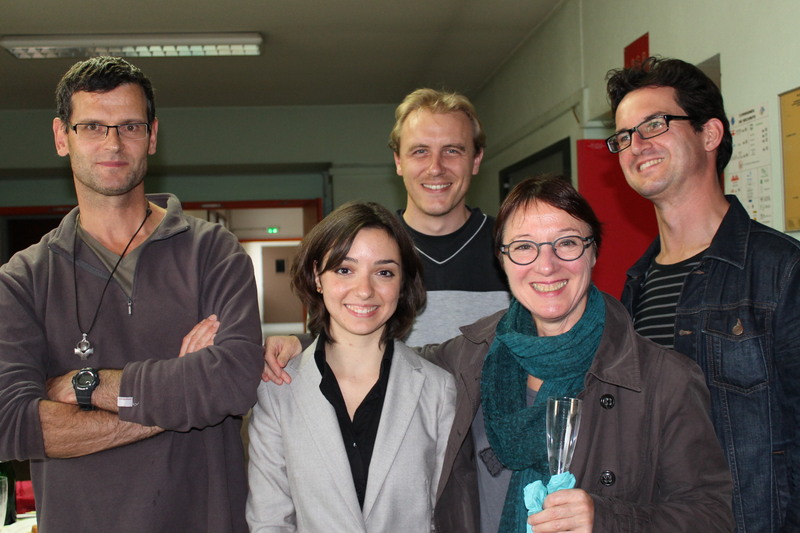 Six poster prizes in the form of book vouchers were awarded during the closing ceremony: two from Springer Verlag, two from the Royal Society of Chemistry and two from the International Union of Pure and Applied Chemistry (IUPAC). Most symposia were organized with strong collaboration of colleagues from Latin-America. Some research areas are strong in Argentina (e.g., plant photomorphogenesis, blue-light-induction of microorganism behaviour, vision and UV damage to retina, circadian rhythms, photoecology, UV influence on the environment) and in Brazil (PDT, DNA photodamage, bioluminescence, biodiesel photoproduction), whereas some others are weak (e.g., molecular aspects of photomedicine, optogenetics, and areas of research that require complex instrumentation: e.g., ultra fast reactions). All symposia were well attended, especially by the young colleagues. Many of the subjects treated were directly related to the problems and/ or peculiarities encountered in Latin America, such as the photobiology of extremophile bacteria at high altitude in the Puna (North of Argentina and Chile, Bolivia and Perú) as well as in Antarctica, the effect of the Ozone hole in the ecosystems in Argentina and Chile, the special properties of alga in Chile, the increase of UV-induced skin diseases in Brazil and others. The participation of Argentine Scientists working abroad: Víctor Batista, Roberto Bogomolni, Gonzalo Cosa, Raquel Galián, Thomas Jovin, Diana Kirilovsky, Maria Andrea Mroginski, Ana Moore, Juan C. (Tito) Scaiano, Graciela Spivak, Cristian Strassert, María Vernet, Matias Zurbriggen, and Silvia Braslavsky was very important for the consolidation of the research ties between Argentine research groups and groups abroad. This has a special value in view of the very dramatic brain drain the Country suffered since 1966 and until 2001, which has being reverted by several actions taken in the last few years, in particular since the creation of the Minister of Science, Technology and Innovative Production, MINCyT, in 2011. The Argentine science administration Agencies strongly supported the Congress with grants from the Argentine Research Council, CONICET, (ca. 10.000 U$S) and from MINCyT (ca. 12.000 U$S). This permitted waiving the registration fee of all Argentina graduate students and several young scientists. In addition, the programme R@ices from MINCYT financed the travel to the Congress of several of the Argentine colleagues working abroad. 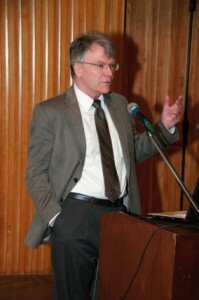 There was also important support (both financial and logistic) by the German Institutions (Research in Germany grouping DAAD, DFG, Fraunhofer, Humboldt Foundation) and the Max Planck Society as well as financial support from IUBS (International Union of Biological Societies), IUPAC (International Union of Pure and Applied Chemistry), TWAS (The World Academy of Sciences) as well as ESP, ASP and the French Society of Photobiology, who helped financing the participation of young graduate students. These grants permitted waiving the fees of Latin- American graduate students and young researchers. Several International companies and Argentine representatives of instrumentation supported the Congress; major contributors were: L’Oreal: in particular for sponsoring the contributors of the Symposium on Photoprotection, BASF and Johnson&Johnson. Some of the sponsoring companies had an exhibition booth in the foyer of the Pavillion. All abstracts of Plenary, Special, and Keynote Lectures, as well as of the contributions to the Symposia and the posters presented were published on-line and can be found in pdf format at www.iuphotobiology.com. The Editors of the Journals Photochemical and Photobiological Sciences (PPS, the Journal of the European Society of Photobiology, ESP, and the European Photochemical Association, EPA), Photochemistry and Photobiology (P&P, the Journal of the American Society of Photobiology, ASP), and Pure and Applied Chemistry (PAC, the Scientific Journal of the Union of Pure and Applied Chemistry, IUPAC) have agreed to publish, in each Journal, some of the Lectures and Symposia presented during the Congress. The papers will then be collated in a visrtual issue. All submitted papers underwent the normal evaluation procedure. We deeply thank the authors for submitting to the three Journals their presentations to the Congress. 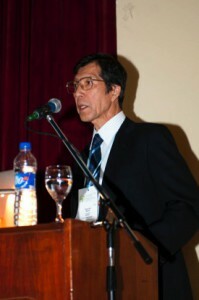 A major spin-off (s) of the Congress was the creation of the Argentine Group of Molecular Photobiologists (GRAFOB in Spanish, http://grupoargentinodefotobiologia.info/drupal/). This group already held two meetings in preparation of the 16th ICP: one in 2011 in La Plata and the second in 2013 in Córdoba (same place as 16th ICP 2014), with ca. 90 participants in each of them. Several contacts were established between Latin American Research Groups, including some that could not participate of the Congress. The Argentine photobiology group met during the Congress and it was agreed to organize a third GRAFOB meeting in Tucumán in 2016. The Executive Board of IUPB had a regular meeting during the Congress and also held a general assembly. The new elected Executive Board is: President: John Spudich (USA), Secretary: Evelyn Sage (France), Treasurer: Franz Trautinger (Austria), Vice-Presidents: Roberto Bassi (Italy), Carlos Ballaré (Argentina), Gary Halliday (Australia), Yoshitaka Fukada (Japan), Liason member as organizer of the 16th ICP: Silvia Braslavsky (Germany) (See the site www.iuphotobiology.com). The participants had the oportunity of enjoying a Tango show during the opening reception on Sunday evening and Argentine folk dancing on Thursday evening. The 17th ICP will be held most probably in 2018 in the UK. PPS is very proud to have supported the recent Workshop on Radiation and Photochemistry which was held at Savitribai Phule Pune University between January 10th – 12th 2016. Vadde Ramu for his poster entitled, ‘New imaging reagents for lipid dense regions in live cells and the nucleus in fixed MCF- 7 cells’ from National Chemical Laboratory, India. Meenakshi N. Shinde for her poster entitled, ‘Photophysical properties and DNA interaction studies of two newly synthesized Cobalt (II) complexes’ from Savitribai Phule Pune University, Pune. Rupali G. Shinde for his poster entitled, ‘Free Radical Scavenging Activity of Esculetin and its Derivatives: A Comparative study’ from Bhabha Atomic Research Centre, Mumbai. Congratulations to all 3 of the winners! 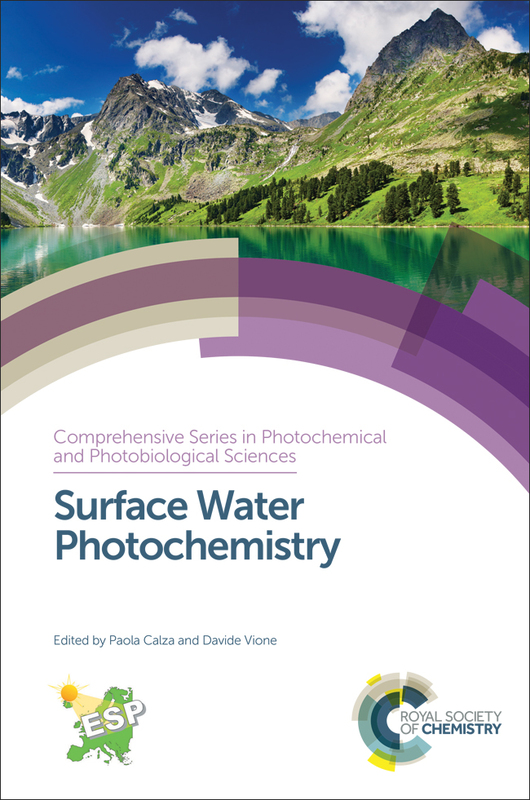 Series Editors Massimo, Lesley and Evelyne describe their new roles, series of books in photochemical and photobiological sciences and some exciting publications coming soon. PPS is very proud to have supported the recent 1st Young Scientist Seminar on Scientific Research on Innovative Areas “Photosynergetics”, 31st July – 1st August 2015, Osaka, Japan. The PPS poster prize, awarded at the seminar, went to Ms. Wakana Naito, of Ritsumeikan University, for her poster titled “Chirality Induction of Pyrrole-Based Cyclic π-Electronic Systems by Inner Modifications”. The prize was awarded by Professor Hajime Ito of Hokkaido University, Chief of the Prize Awarding Committee of the 1st Young Scientist Seminar for Photosynergetics. By Simon R. T. Neil, Deputy Editor. The influence of Pluronics® on dark cytotoxicity, photocytotoxicity, localization and uptake of curcumin in cancer cells: studies of curcumin and curcuminoids XLIX. Figure 1. Pluronic block copolymers, x = number of ethylene oxide groups (EO), y = number of propylene oxide groups (PO). By Guy Jones, Deputy Editor.